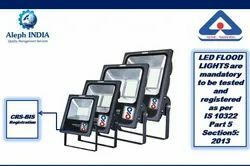 Our range of services include bis registration, bis registration for sealed secondary batteries, bis registration for recessed led luminaires, bis registration for street light, bis registration for led flood lights and bis registration for led hand lamps. Being one of the customer conscious organizations, we are involved in delivering our customer a wide collection of BIS Consulting Service at pocket-friendly prices. 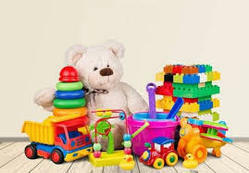 We follow well-defined service plan and are supported by highly talented professionals holding rich industry experience. In addition to this, our commitment towards excellence and high-level client satisfaction enable us to assists our clients with setting up business...! Being a Dun & Bradstreet certified organization (a global rating agency) for technical certification and compliances for INDIA market, we are proud to improve the Indian standards better and better every day. 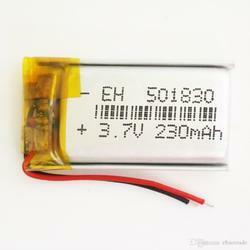 All type of sealed secondary batteries are mendatory under BIS compulsury registration scheme. Make sure your product is registered with BISWe, Team#Aleph INDIAwill assist you on every step to get your product certified with all kind of quality control parameters for better quality and good future. All type of recessed led luminaires are mendatory under BIS compulsury registration scheme. 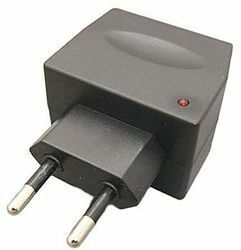 All models and brands of Adapters for Households and Similar Electrical Appliances are required to get BIS Registration before its launch or import to the Indian consumer market. BIS Registration will be given to manufacturer only (not to dealer/trader or distributor) whether manufacturer is in India or in abroad does not matter. Please refer Info section for more details. All type of Telephone answeing machine are mendatory under BIS compulsury registration scheme.
. #Aleph INDIA& A single window for all kind of technical certification and Testing Equipment.#BIS#WPC#ETA#TAC#BEE#CE#UL#Ewaste#CPCB#CARE#ISIMark#Hallmark. All type of sealed secondary cells are mendatory under BIS compulsury registration scheme. Under the BIS product certification scheme, we are providingBIS Registration Services for Point of Sale Terminalsservices. They are non discriminatory and transparent and exactly as per the rules of BIS 1987 act iIS 13252 (part 1) 2010 Similarly, the complaints of clients if not satisfied will be investigated by the experts and finding of such investigation is done by the professionals of domain working from over many years.#Aleph INDIA& A single window for all kind of technical certification and Testing Equipment.#BIS#WPC#ETA#TAC#BEE#CE#UL#Ewaste#CPCB#CARE#ISIMark#Hallmark. All type of scanner are mendatory under BIS compulsury registration scheme.
. #AlephINDIA& A single window for all kind of technical certification and Testing Equipment.#BIS#WPC#ETA#TAC#BEE#CE#UL#Ewaste#CPCB#CARE#ISIMark#Hallmark. With the rally, the Ministry of consumer affairs food and public distribution (Government of India) announced new notification for the quality of Home Appliances. As per sources, the Bureau has implemented mandatory ISI Mark certification on the home appliances. Buy Smart Buy ISI marked. 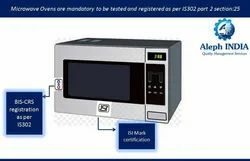 Safety of Household and Similar Electrical Appliances - IS 302 Part 2 : Particular Requirements - Section 25 Microwave ovens. Team AlephINDIA is committed to providing you with the best quality services for all kind of technical certifications and testing equipment. To know more about BIS. Hard drawn steel wire is produced by high-quality carbon wire rods through a special heat treatment and cold drawing process. Hard drawn steel wire is the most common steel wire that we can find in many objects like baskets, hooks, shelving, shopping carts, safety pins, automobile parts and many more. Under the quality control order, it is mandatory to have BIS approval for Hard-Drawn Steel wire. Team Aleph will assist you on every step to get your product certified with all kind of quality control parameters for better quality and good future. We are committed to providing you with the best quality services for all kind of technical certification and testing equipment. AlephIndiaQMS; help you with the best quality services for all kind of technical certifications and testing equipment. Our expertise varies from Quality Management Certification to Quality Assurance and Product Certification. Please contact at info@alephindia.in for more information. CCTV camera and its major components such as the camera, DVR, monitor, lens are covered under the Compulsory Registration Scheme. CCTV refers to a system of video feeds that are transmitted within a closed system from various security cameras. CCTV cameras are widely used in offices, buildings, homes and other public places for security purpose. Before buying any electronics and IT products make sure it has the BIS logo. The BIS Registration is mandatory to the manufacturers and the sellers/distributors/importers to sell their CCTV camera in Indian Market. CCTV Cameras are under mandatory Indian Standards; IS 13252 part1. Bureau of Indian Standards has been conducted Compulsory Registration Scheme (CRS) for the electronics and IT Goods. Hereby the manufacturer and the seller are required to apply for Compulsory registration scheme under BIS Registration. Aleph India QMS is committed to providing you with the best quality services for all kind of technical certification and testing equipment. You can get your BIS certificate ready within 25 working days. To know more information about Compulsory Registration Scheme under BIS or product registration you may visit www.alephindia.in crs@alephindia.in or contact us @ +91-9821120166. Point of Sale Terminals is an electronic device which is used for the process of debit/credit card payments at the retail shops or stores. 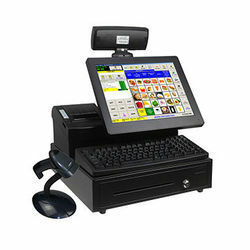 Point of sale Terminals reads the information of a customer’s debit/credit card and transfers the amount of the shopping bill from the customer’s account to the seller’s account. 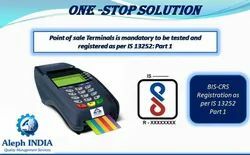 POS; Point of Sale Terminals is under Mandatory Indian Standards; IS 13252 part 1. The Bureau of Indian Standards notified the POS – Point of Sale Terminals under Compulsory Registration scheme under the Gazette of India. Aleph India QMS helps you to get BIS certification in India and provides any other quality – related services. Our area of expertise varies from Quality management Certification to Quality Assurance & product certification. We assure you the best of the quality services for all kind of technical certification and testing equipment. The Bureau of Indian Standards Notified the Visual Display Units under Compulsory Registration Scheme under the Gazette of India. The BIS Registration is mandatory to the manufacturer/seller and the Importer to sell their Visual Display Units in Indian Market. 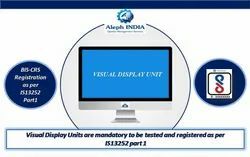 Visual Display Units are under mandatory Indian Standard(s) - IS13252 Part1. Visual Display Unit is under the Information Technology Equipment and the VDUs must fulfil the general safety requirements as prescribed in CRS under the BIS. To know more about BIS Registration or CRS you may Aleph India QMS helps you to get BIS certification in India and provides any other quality – related services. Our area of expertise varies from Quality management Certification to Quality Assurance & product certification. We assure you the best of the quality services for all kind of technical certification and testing equipment. Electronic Clock with Mains Power is under the safety of household and similar electrical appliances: part 2 particular requirements: section 26 clocks. The Bureau of Indian Standards has been conducted compulsory registration scheme for the electronics and IT goods under the Gazette of India. 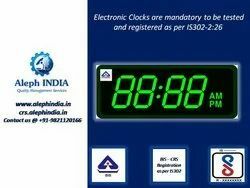 Electronic Clocks are mandatory to be tested and registered as per IS302 under a compulsory registration scheme under the Bureau of Indian Standards. 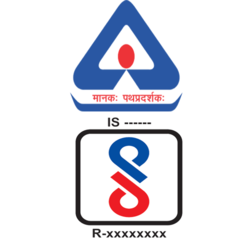 The manufacturers and the importers of Electronic Clock are required to apply for Compulsory Registration scheme under BIS Registration from BIS. We have committed to offering the most reliable & effective means of solution to establish & grow “your Business in Indian Market”. 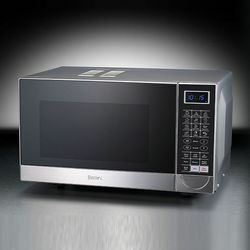 The Bureau of Indian standards has required Microwave Ovens to be registered as per IS 302 under the Compulsory Registration Scheme from BIS under the Gazette of India. Microwave Ovens is under the safety of household and similar electrical appliances: part 2 particular requirements: section 25 Microwave Ovens. The manufacturers and the importers are required to apply for BIS Registration from BIS to sell their product in the Indian Market. Being one of the customer conscious organizations, Team Aleph India QMS is involved in delivering our customer a wide collection of BIS consulting service at pocket-friendly prices. To know more about Compulsory Registration Scheme (CRS) under BIS. LED Flood Lights is wide beamed angle bright white artificial light which is more durable and does not die abruptly when they near the end of their lifespan. It consumes very little electricity and does not emanate heat. 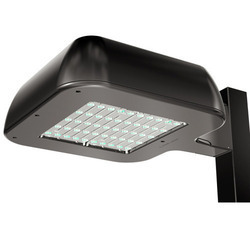 The absence of heat emanation makes the LED Flood Lights one of the safest lighting options. 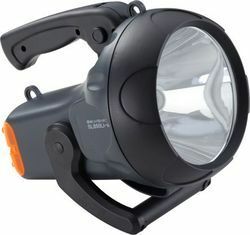 The Ministry of Electronics and IT Technology has notified LED FLOOD LIGHTS under the Compulsory Registration Scheme under the Bureau of Indian Standards under the Gazette of India. 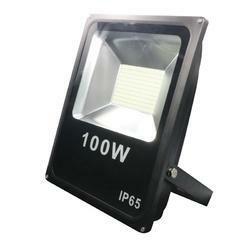 The Manufacturers or the Importers of the LED Flood Lights are required to apply for Compulsory Registration Scheme under BIS Registration from BIS as per IS 10322 Part 5 Section 5 2013. Being one of the customer conscious organizations, Team Aleph India QMS is involved in delivering our customer a wide collection of BIS consulting service at pocket-friendly prices. To know more about Compulsory Registration Scheme (CRS) under BIS. 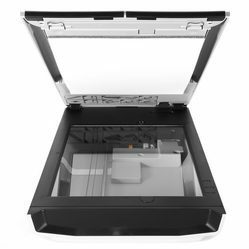 A Plotter is a computer printer that is used for printing vector graphics. Plotters have a pen-like instrument that is used to draw images on the paper. The plotter is under Mandatory Indian Standards; IS 13252 parts 1. The Bureau of Indian Standards notified the PLOTTERS under Compulsory Registration scheme under the Gazette of India. All type of Plotters is required to register with BIS Compulsory Registration Scheme from BIS. 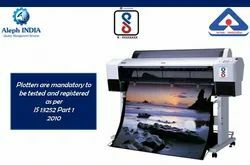 The BIS Registration is mandatory for the manufacturer and the importer to sell the Plotters in Indian Market. Be smart with BIS Registered Smart Watches. Smart Watches provides you with plenty of features with easy access to some of the Smartphone applications. Smart Watches can monitor your heart rate, and track your sleep, activity and overall fitness level. 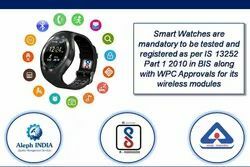 Smart Watches is notified by the Electronics and Information Technology Goods under the compulsory registration scheme from BIS under the Gazette of India. According to this order, Smart Watches shall have to meet standards as notified by the Bureau of Indian standard as per IS 13252 part 1 Information Technology Equipment – Safety General Requirements. The manufacturers, importers or sellers are not allowed to sell their Smart Watches without Compulsory Registration scheme under the BIS Registration. Aleph India QMS is committed to providing you with the best quality services for all kind of technical certification and testing equipment. 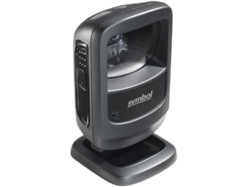 Presentations using projectors can increase attendance and interest levels at meetings. The whole idea of a projector is to convert a small image into a much larger one so that people can see it. Projectors are required to be tested and registered as per IS 13252 part 1. The Ministry of Electronics and IT Goods notified that the Projectors are under Compulsory Registration Scheme under the Bureau of Indian Standard under the Gazette of India. 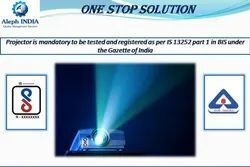 All type of Projectors is required to register with BIS Compulsory Registration Scheme from BIS. The BIS Registration is mandatory for the manufacturer and the importer to sell the Projectors in Indian Consumer Market. 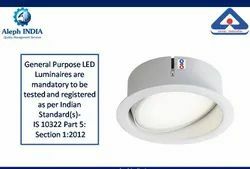 The Bureau of Indian Standards Notified the Fixed General Purpose LED Luminaries under Compulsory Registration Scheme under the Gazette of India. The BIS Registration is mandatory to the manufacturer and the Importer/Sellers to sell the fixed general purpose LED luminaires in the Indian Market. Fixed General Purpose LED Luminaires are under mandatory Indian Standard(s)- IS 10322 Part 5: Section 1:2012 in BIS. Hence the manufacturer and the seller are required to apply for Compulsory registration scheme under BIS Registration. To know more about BIS Registration or CRS you may. Aleph India QMS helps you to get BIS certification in India and provides any other quality – related services. Our area of expertise varies from Quality management Certification to Quality Assurance & product certification. We assure you the best of the quality services for all kind of technical certification and testing equipment. 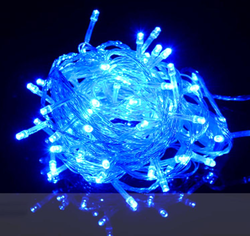 Decorate your home or party with BIS registered LED Lighting Chains. The Ministry of Electronics and IT Goods has notified a quality order for LED Lighting Chains under the Compulsory Registration Scheme as per IS 10322, part 5: section 7:2013 under the BIS under the Gazette of India. BIS Registration is mandatory for all type of LED Lighting Chains to qualify the quality standard to enter into the Indian Consumer Market. 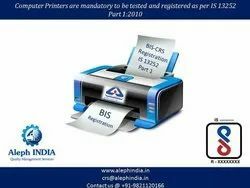 Aleph India QMS helps you to get BIS Registration for Electronic and IT Goods and provides any other quality – related services. Our area of expertise varies from Quality management Certification to Quality Assurance & product certification. We assure you the best of the quality services for all kind of technical certification and testing equipment.